Some readers will undoubtedly turn their noses up at an article about the best survey sites. You see, many people seem to think that filling out surveys for money is below them, a waste of time, or something only those desperate for money would do. It’s admittedly a little challenging to identify legitimate paid survey sites. They’re hidden in plain sight among ones that will scam you, mess you around or invade your privacy. However, it’s worth being aware of a few that you can turn to if you want to top up on extra cash, boost your savings, or buy a few treats. I’d never really got involved with surveys until I started to look for the best survey sites to review for HomeWorkingClub. It’s come as a bit of a surprise to me that I stuck with a few after completing my reviews. Personally, I’m also really bad at “leaving money on the table.” If I get an email saying there’s a survey for me that will earn a couple of bucks, I struggle to delete the email and not do it. With this approach, the earnings really add up, as shown in the income report I did at the end of last year. Efforts with side gigs pay for Christmas in this house! It’s always nice to have a constant stream of Amazon vouchers to spend, and recently I’ve started using half of my IPSOS I-Say rewards to buy charity donations, which is a good way to give regularly to good causes. Online surveys won’t make you rich, but that’s not really the point. There’s something about receiving (and spending) a reward check that feels way more satisfying than spending money straight out of your bank account! I suspect those who aren’t interested in earning money from surveys clicked off the article long ago. So if you’re still reading, let’s press on, and discuss five of the most reliable survey sites I’ve found so far. IPSOS iSay uses a points system to reward those taking surveys. You can exchange points for a range of credits and vouchers, or you can cash out points for PayPal payments as a way to earn actual cash. Personally, I alternate between taking Amazon vouchers and donating my earnings to charity. Here in the UK, IPSOS recently lowered the number of points required to earn vouchers, which seemed like a generous gesture. I’m not sure if a similar thing happened in the US. 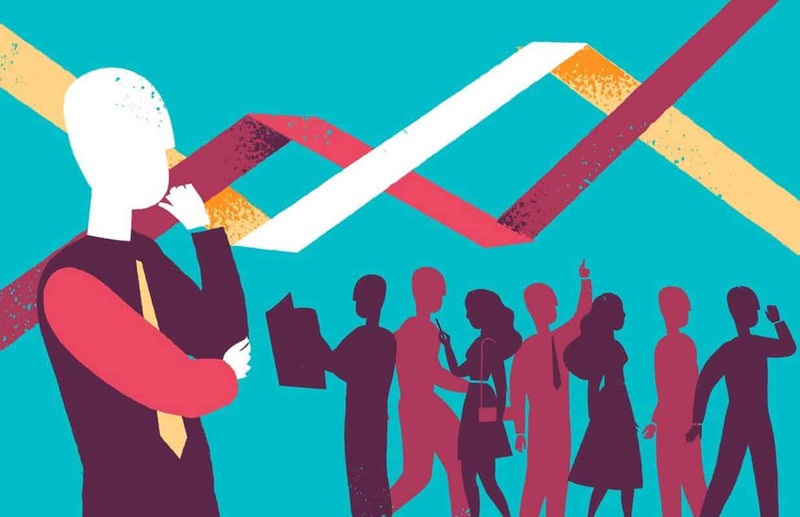 The biggest disadvantages of iSay are shared by all the main survey sites: It’s common to get “screened out” early in a survey if you don’t fit the right demographics, but at least IPSOS give a token gesture of a few points when this happens, so you don’t feel your time’s been completely wasted. More significantly, the availability of new surveys tends to really vary. There are periods where it feels like survey opportunities are coming in thick and fast and you seem to be grabbing new vouchers really often, then you go weeks without getting anything. This is why it’s always best to belong to several survey sites at once! Long periods with no surveys available. No direct cash withdrawal option. Read a more detailed review here or find IPSOS iSay here. Populus Live is one of my favourite survey sites, but I didn’t put it at the top of the list because it’s unfortunately a UK-only option. (Don’t worry, the next couple of options are more widely available). Populus Live is quite old-fashioned in some ways; The website looks rather primitive, and payments are made by cheque. This is good in one way, because a cheque you can pay into your bank is as close as you can get to cold, hard cash. On the flipside, you only get a payment issued once you earn £50. For some, this means a long wait, and for those lacking the tenacity to earn a full £50, it means their (limited) efforts earn them nothing. (You’ll find the majority of people criticising Populus Live online focus on this policy). 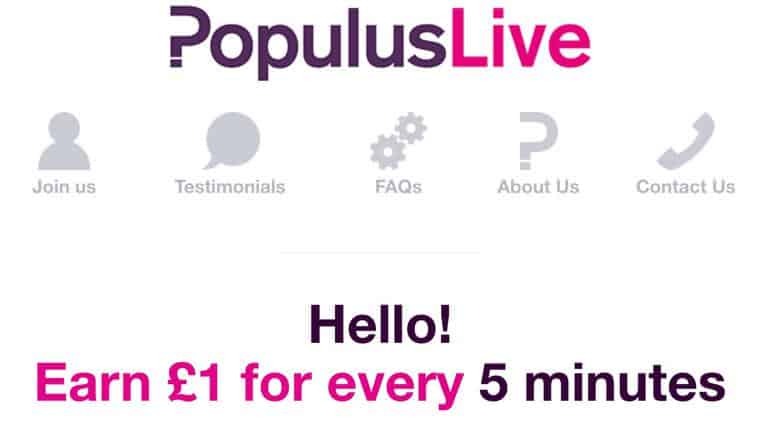 A big plus point for Populus live is that the payment rates are about as transparent as you’ll find anywhere. The site aims to compensate people at a rate of £1 for every five minutes spend answering survey questions. This, in theory, equates to £12 (US$15) per hour, which is a pretty respectable rate. Populus Live is definitely one of the best survey sites out there, and I’ve seen plenty of real-life payouts. It’s just a shame it’s not available globally. Read a more detailed review here – or find Populus Live here. Qmee is a site that I reviewed fairly recently following a recommendation. As discussed in my full review, it’s not only a survey site. It also gives you the opportunity to earn some pocket change from searching and shopping online. The big upside to Qmee is that it’s available in several countries – the US, the UK, Canada and Australia. The bad news is that it’s not a service I’d recommend to people preoccupied with their online privacy, due to a combination of how Qmee works, and how the service offers surveys from all kinds of third parties. Another area where you have to take the “rough with the smooth” with Qmee is in terms of survey availability and payment rates. The huge plus point, and the thing that made me include Qmee in my list of the best survey sites, is that this is the best place of all to find surveys available almost all the time. However, payment rates vary massively. While some aren’t too bad, others amount to a pretty pitiful hourly rate, making you wonder if it’s really worth doing them at all. Reward for some surveys is poor. Read a more detailed review here – or find Qmee here. At fourth place in our roundup of the best survey sites is Prolific – a very different beast to the others on the list. Prolific is all about academic surveys, so instead of getting involved in market research and political polling, you’re helping with university research studies. This definitely makes for more absorbing questions. Another big plus point for Prolific is that it accepts people from a fairly wide range of countries. The key downside to Prolific is that there just don’t seem to be that many surveys available on a consistent basis. However, since writing my full Prolific review, I’ve discovered that the problem is as much that you don’t always receive email notifications when there are surveys on offer. As an example, I logged on whilst typing up this roundup, and there was a survey available to me that I’d not been emailed about. Sometimes Prolific’s website seems slow, but this seems to be improving. Overall, it’s well worth joining, especially if you have an interest in social science and academic research. Accessible from a range of countries. Not that many surveys on offer. The site tech can be flaky at times. Read a more detailed review here – or find Prolific here. PanelBase is, hands down, the survey company that sends me the most surveys. I’ve received email notifications for two in the time I’ve been typing up this article. However, the bad news for many is that PanelBase is currently only available in the UK. Please note that I said currently, because the company does have plans to expand globally. PanelBase keeps things nice and simple by paying out in cash via PayPal. I’ve cashed out successfully with no nonsense, so am confident the site is legit. Getting “screened out” for demographic reasons is the biggest downside of PanelBase. This can happen everywhere, but here it sometimes happens when you already feel that you’ve answered quite a few questions. You’re then unceremoniously dumped out of the survey with no compensation other than the chance to win a compensatory prize in a draw. (In fairness, Populus Live is the same). As my review shows, I had some doubts and criticisms when I first started playing with PanelBase, but I’m now officially convinced this is one of the best survey sites out there. It’s not unusual to make around £10 in a week on PanelBase, which isn’t too shabby at all for filling out the odd survey. If you’re in the UK, jump right on it – and if you’re not, keep an eye out for PanelBase expanding into your country. Read a more detailed review here – or find PanelBase here. 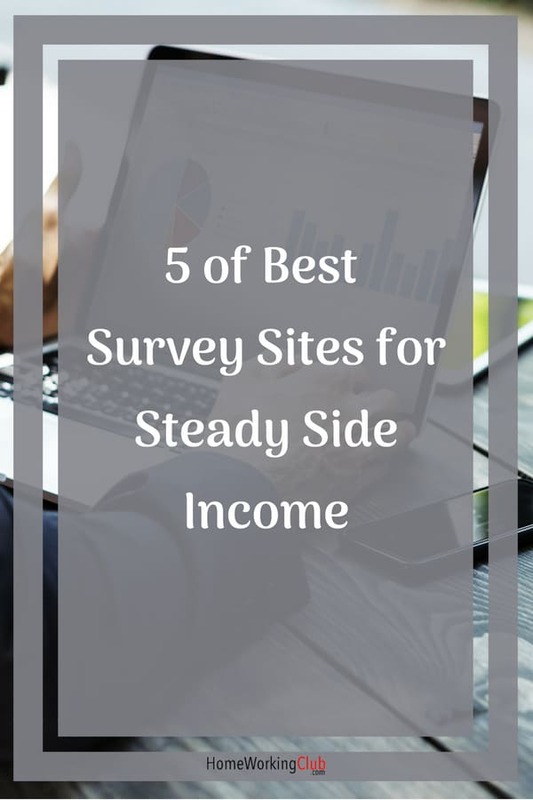 Always join a few survey sites instead of just one, that way you can keep earning money when one of them goes quiet, which frequently happens. Don’t rely on email alerts to notify you of new surveys. Often you’ll find there are surveys available on the sites even if you’ve not received an email. The best thing to do is log onto the sites frequently and check. Don’t be cynical and try to cheat the system by not answering surveys properly. All the reputable sites build in questions and mechanisms to check you’re paying attention, so you will (quite rightly) get caught out. If you’re concerned about your online privacy, make sure you check what you’re signing up to when doing surveys. Not interested in online surveys and want some other ways of making side income? Check out some alternative side gigs here. Previous ArticleFreelance Advice: Your Experience MAY Mean Nothing!